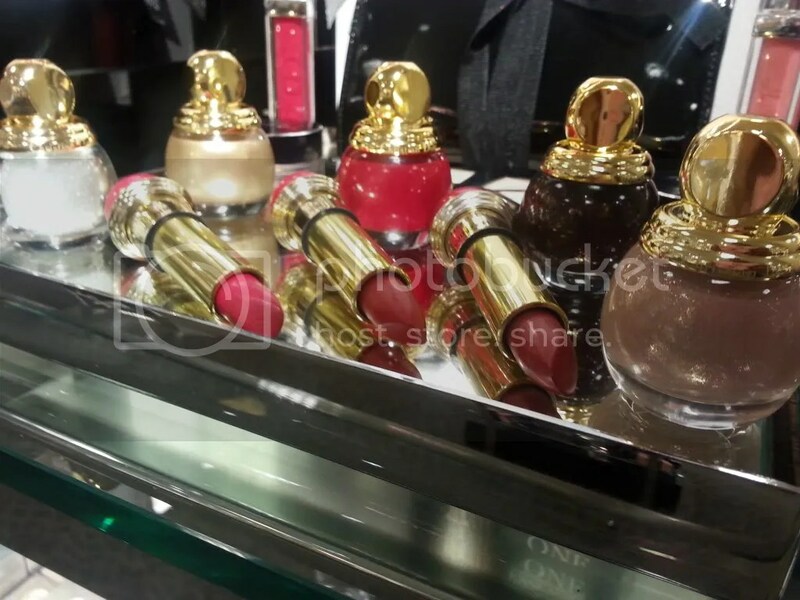 I don’t usually keep up with Dior collections but Golden Winter definitely has by attention! I spotted a few promo pictures a little while ago and I’ve been on edge waiting to see this beautiful collection in person ever since. 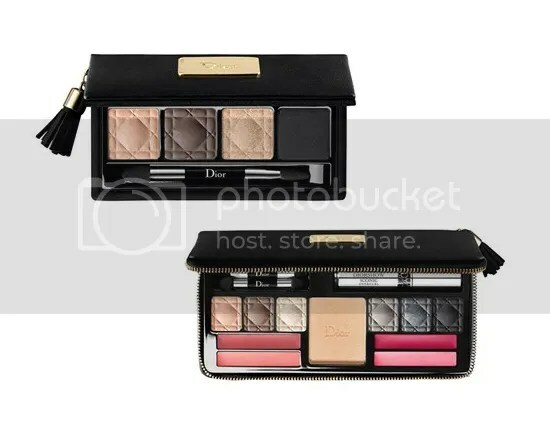 I’m fairly new to the Dior scene so the limited edition holiday packaging is really wowing me. Every piece is absolutely stunning! I usually like to include the color story when I post about collections but there’s a lot of confusion about Golden Winter. It appears different countries will be receiving different pieces. So far, my Nordstrom has started receiving some pieces and that’s what I’ll be sharing with you ladies today. As (or if) more pieces roll in I’ll be sure to share updates! So far, my local Nordstrom has 3 lipsticks, 5 nail polishes, 2 eyeshadow quints and a cream eyeshadow. I was the most excited about the lipsticks but I’m not so sure I’ll be hauling any of them. 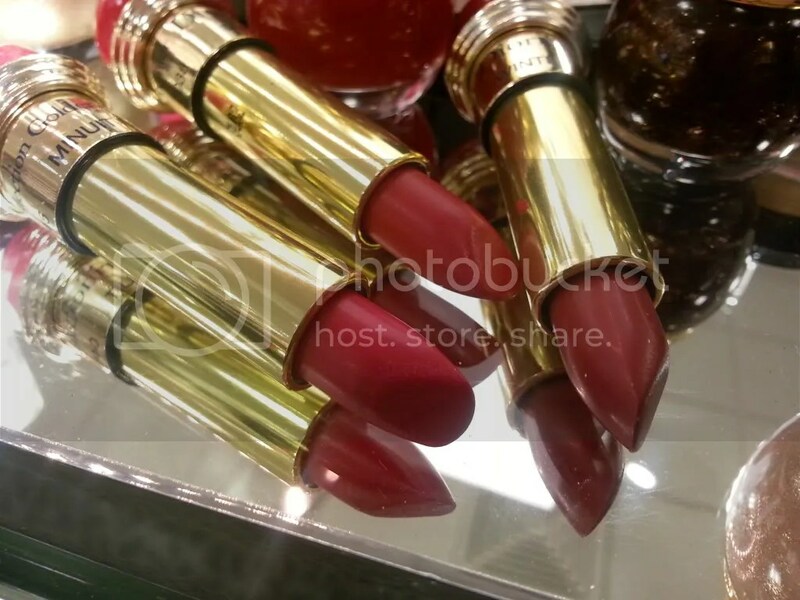 The Diorific lipstick shades include Minuit, Diva and Winter. Minuit is a bright fuchsia with flecks of glitter. Diva is a pinky red coral. Winter is a vibrant fuchsia red. All three shades are beautiful but I like Minuit and Winter most. Minuit looks beautiful but swatched a bit dry, gritty and patchy. Diva and Winter felt much more creamy and smooth. 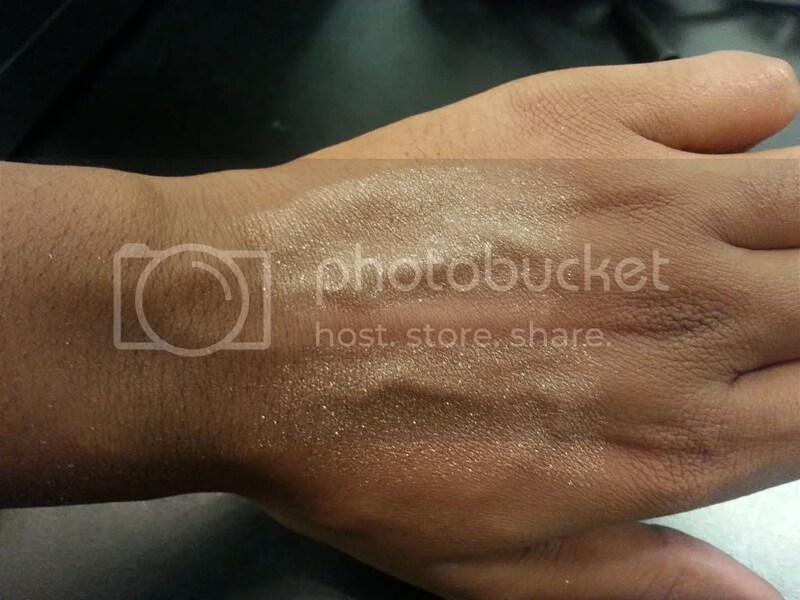 The texture difference is solely due to the glitter I’m sure. 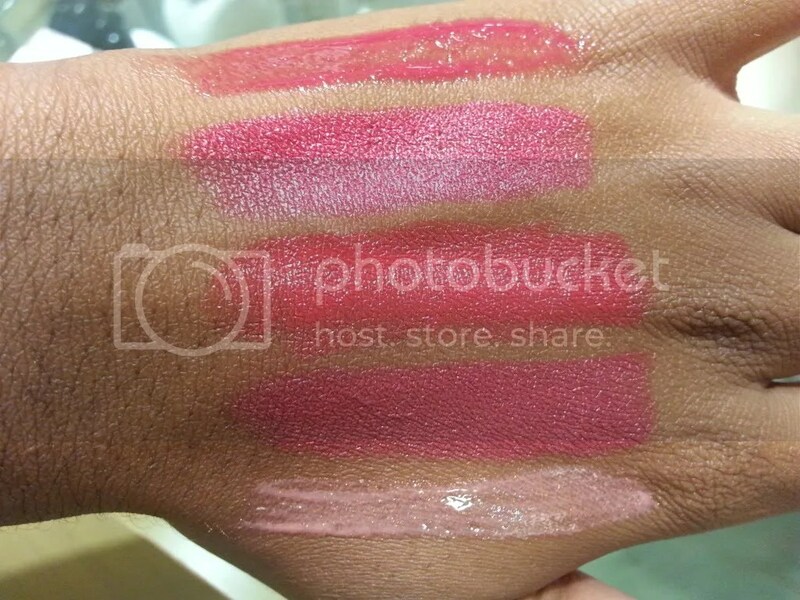 All three lipsticks were very pigmented on first swipe and left a nice stain when I tried removing them. The glosses were a rather pleasant surprise! I wasn’t expecting to be wowed by the colors at all but I really like them. Enchanted Rose (451) is a bright reddish fuchsia with a hint of glitter that would look beautiful paired with Winter or Minuit. Pink Fantasy (776) is a light baby pink with a golden iridescence that’s just gorgeous! The formula felt pretty nice too. 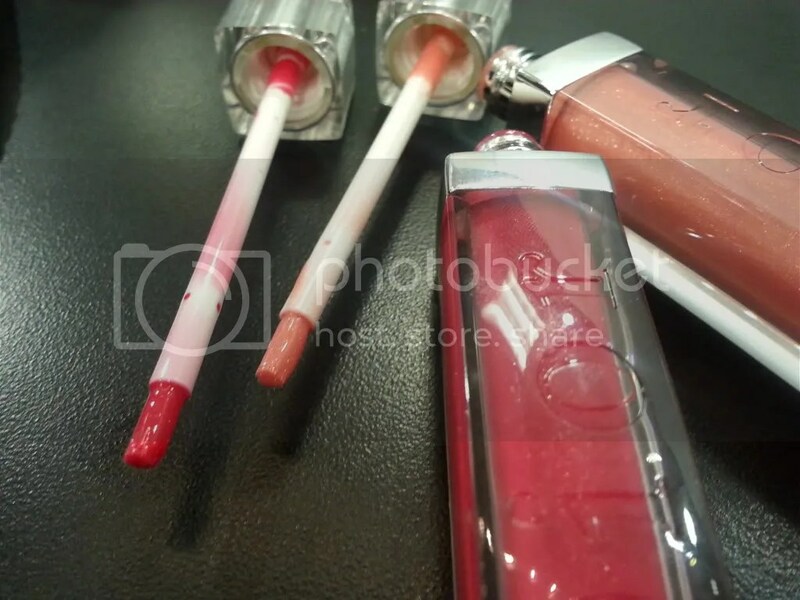 It was slightly thick but not sticky much like my Dior Addict Lip Polish (LOVE!) but much more pigmented. 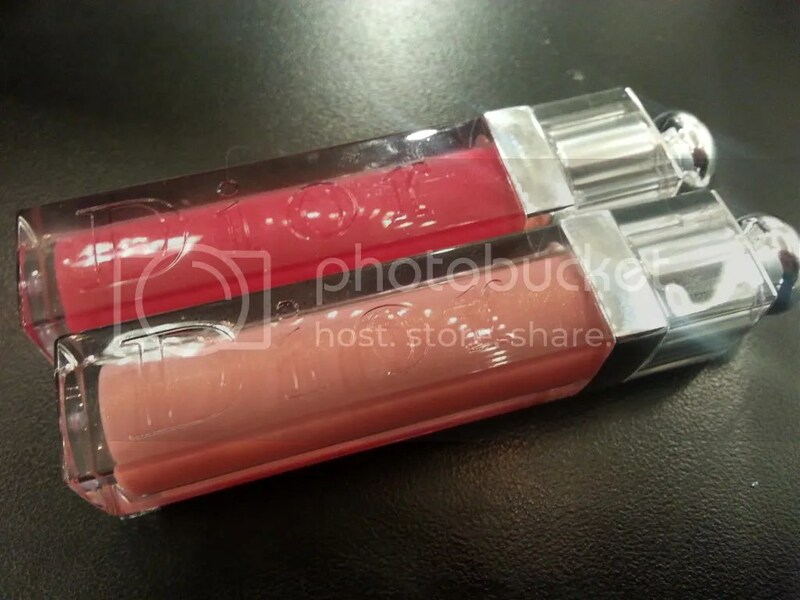 If the Addict glosses are anywhere near as good as the Lip Polish I’ll definitely be grabbing Pink Fantasy! The cream eyeshadows were also a nice treat! The Diorshow Fusion Mono eyeshadows are nothing like your typical cream eyeshadow. 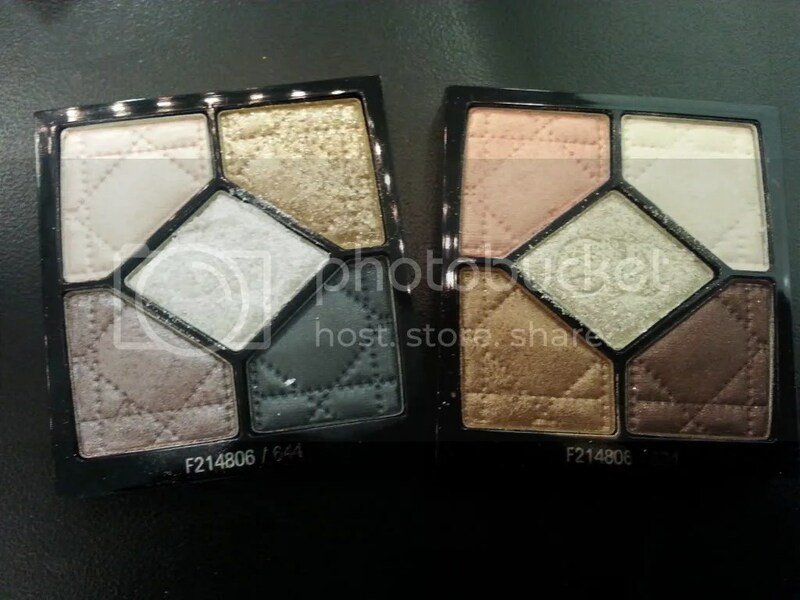 If you’re familiar with Chanel Illusion d’Ombre eyeshadows then you’ll feel right at home! The Diorshow Fusion Mono shadows have a gel/mousse like texture that’s super soft and buttery but not so much creamy. I just love the way it feels! Sometimes creams can feel a bit heavy but this formula is super lightweight. Meteore is a shimmering bronze. Comete is a shimmering soft white gold. Both shades had pretty good color payoff and built up nicely. There is a ton of glitter in both so if you’re not a fan of glitter or metallics I wouldn’t recommend them. 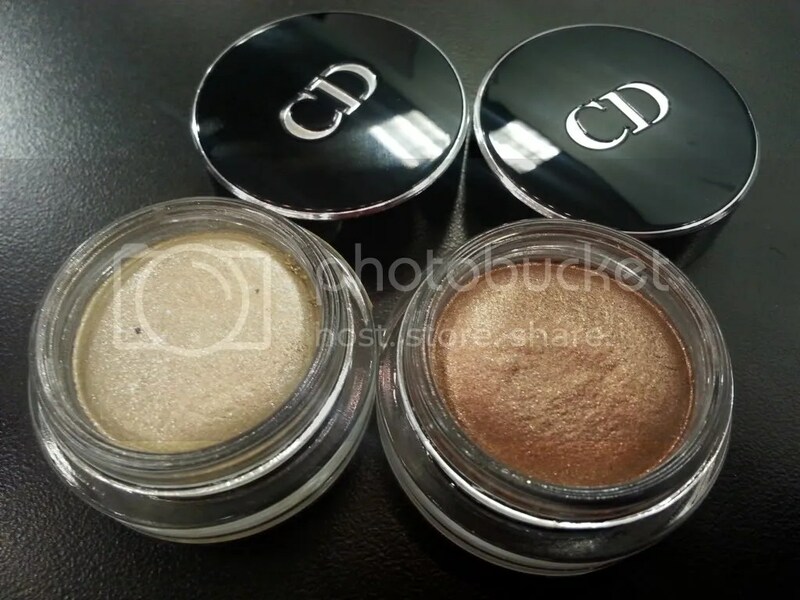 There are two eyeshadow quints in the Golden Winter collection. 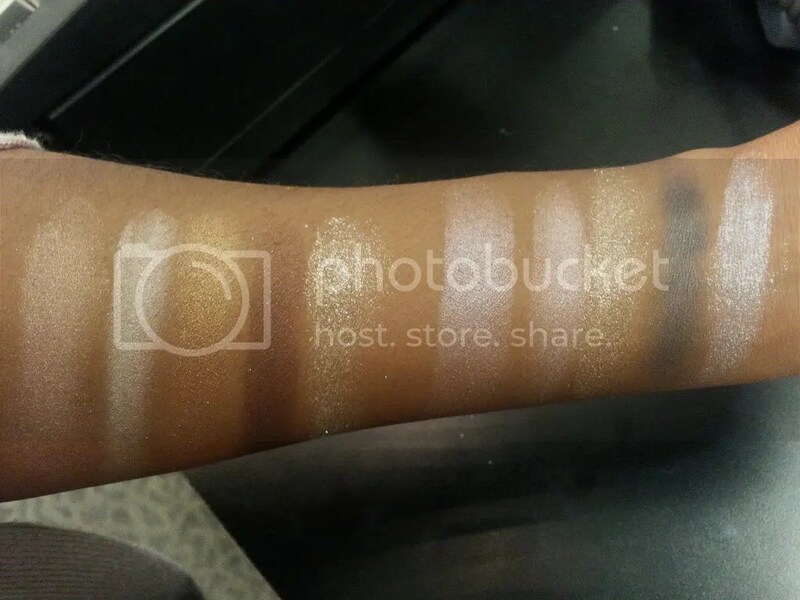 Golden Snow features a variety of cool, smoky shades. 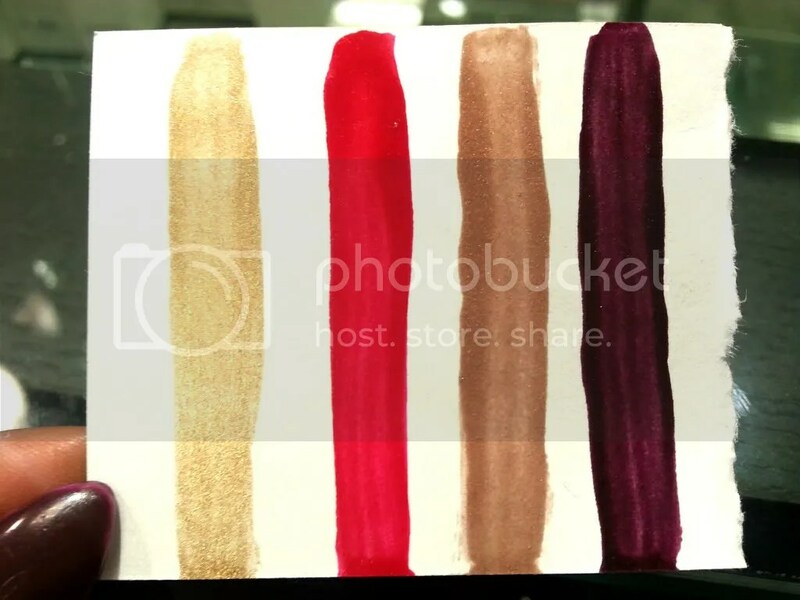 While Golden Flower contains warmer neutral shades. 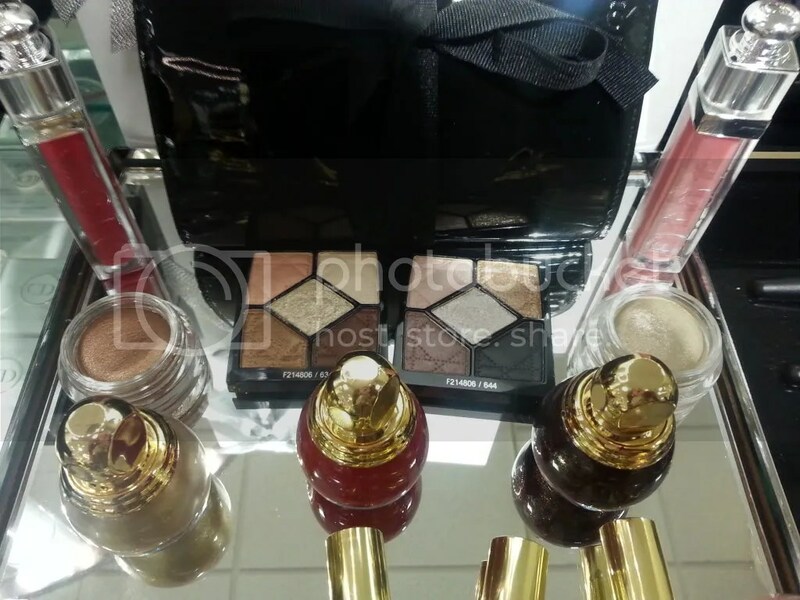 Both palettes had a buttery texture and nice color payoff but I felt Golden Flower performed a little bit better. Golden Flower was slightly more pigmented and had a softer texture. I wasn’t expecting to like either of the palettes but Golden Flower blew me away! The quality is fantastic and the color selection is perfect. You can create a day or night look without deviating from the palette. I recommend checking out both though as they’re both beautiful palettes. Finally, we have the nail goodies! 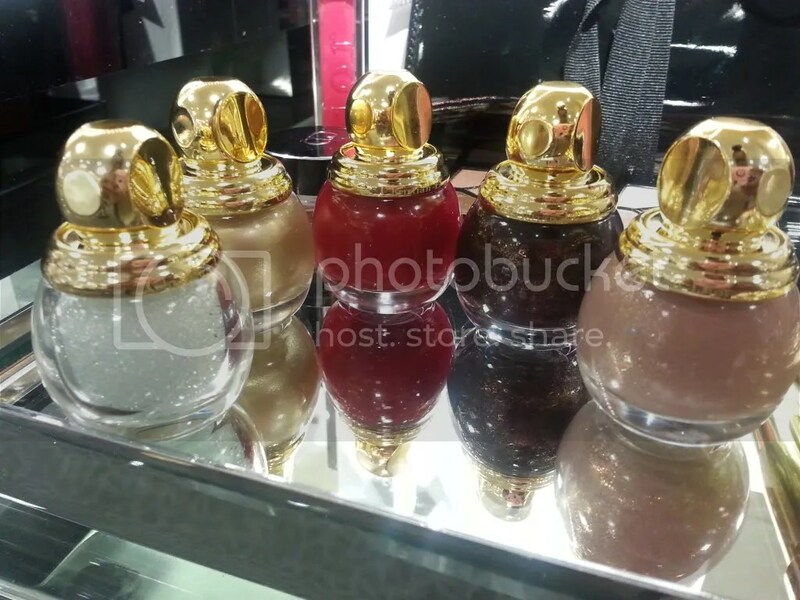 Golden Winter includes 3 nail polishes and a manicure set. The manicure set features a beautiful soft white gold metallic polish and clear manicure beads. The other polish shades include: Marilyn (bright vibrant red), Frimas (shimmering taupe) and Minuit (deep shimmering plum). The packaging of the Diorific Vernis makes me want to haul all of them but I’m absolutely loving Frimas and Minuit. They’re beautiful and just perfect for fall! The collection was set to release October 30th but I still haven’t found the full collection available online yet. As of now, Sephora and Nordstrom has a few pieces available for purchase. The rest of the collection should be up this week. I know it seems like I’ve abandoned my 30 Day Challenge but trust me I haven’t ladies! I’ve been being extremely lazy and not really feeling like putting on any eyeshadow but I’m breaking out of it and ready to get back Fancie Faced! Yesterday I finally grabbed my Naked palette and got to business. Check it out!